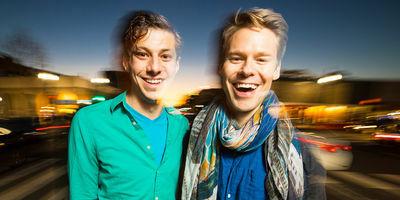 One more amazing photo of #RandyHarrison on stage with the Angel during rehearsal for Angels in America. A great article written by Jim Gladstone has been published on Medium.com. 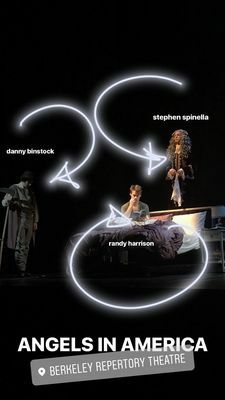 In this article both Randy and Stephen Spinella talk about Angels in America and their roles in the play. 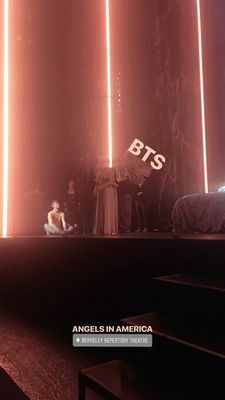 There are a few interviews and articles about this new production of Angels in America at the Berkeley Repertory Theatre. In a great piece published by Sarah Goldwasser on The Daily Californian Randy talks about his longtime dream to be Prior in this Pulitzer Prize-winning play. 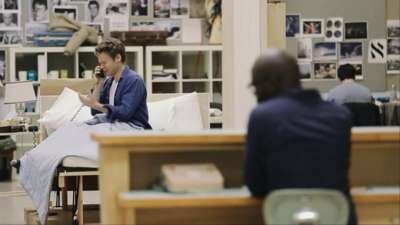 And finally we added a second photo of Randy with Benjamin Ismail from the promo shooting for Angels in America. Again thanks and credits to Cheshire Isaacs for the photo and to Berkeley Rep for sharing! 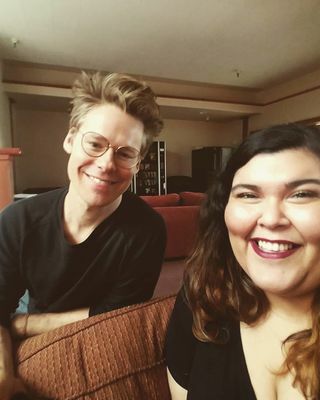 A new photo of #RandyHarrison on stage during rehearsal for Angels in America has been shared by Montana Levi Blanco on his Instagram. Thank you so much Montana! We also added a photo of Randy with a fan. The Berkeley Rep published a new video interview with Tony Taccone, the director of Angels in America. 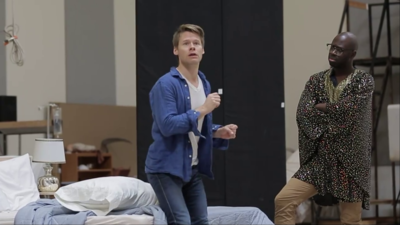 In this clip there are a few glimpses of Randy during rehearsals with his cast mates Caldwell Tidicue and Carmen Roman. Thanks to Berkeley Rep for sharing! 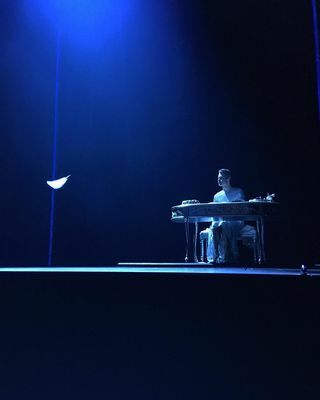 Montana Levi Blanco, costume designer for Angels in America, shared another photo of Randy on stage during Tech! Thank you so much to Montana Levi Blanco for sharing this great shot!!! 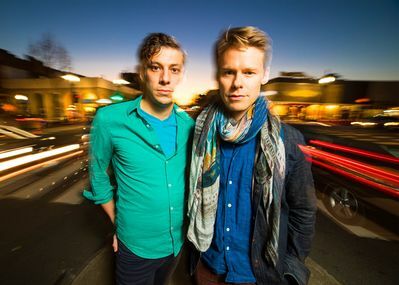 There's a new photo of Randy with Benjamin Ismail from a promo shooting for Angels in America. Thanks and credits to Cheshire Isaacs! And we also have a photo of Randy, Caldwell Tidicue and Stephen Spinella from the rehearsal. Thank you so much to Montana Levi Blanco for sharing!! !